Join Friends of Black Rock – High Rock at this free family event designed to excite and inspire the next generation of outdoor enthusiasts and conservationists. 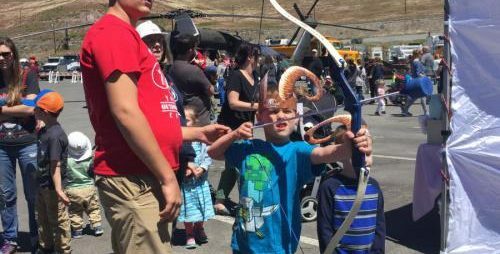 Organized by the Wild Sheep Foundation and the Rocky Mountain Elk Foundation, multiple organizations from around the area will have their experts present to offer hands-on learning experiences for children and their families. Events include: metal detecting, gold panning, BB gun ranges, laser shot, animal identification, rock climbing wall, archery, and much more. Even a free hot dog lunch is included. Free youth raffles take place throughout the day. The event takes place at Capital City Gun Club in Carson City, 3590 Arrowhead Drive. The 7th Annual Nevada Outdoor Experience. No need to preregister, just show up and register at the event. The event is designed to excite and inspire the next generation of outdoor enthusiasts by bringing together as many outdoor organizations in the northern Nevada area. Stations include: archery, metal detecting, gold panning, BB gun range, rock climbing, fly tying, crafts, conservation, wildlife identification, rocks and minerals, laser shot, duck calling, and so much more. Free youth raffles donated by Sportsman’s Warehouse. 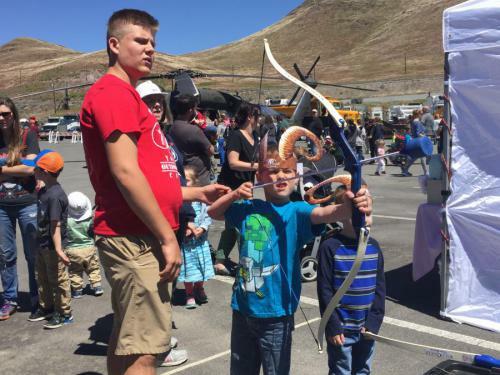 There is something for every member of the family at this fantastic outdoor youth expo. FBR-HR will be on-hand doing Leave No Trace and Outdoor Ethics Outreach. We will have a tent and, as usual, will have all the info you need or want to know about the Black Rock Desert – High Rock Canyon area.